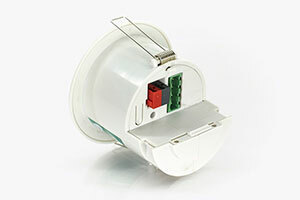 EBDSPIR-KNX is a compact PIR detector suitable to be mounted either flush or in a surface mount box. 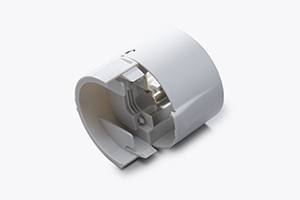 Designed with switch input connectors, the simple to install EBDSPIR-KNX is suitable for narrow ceiling voids and still offers sensitive detection. 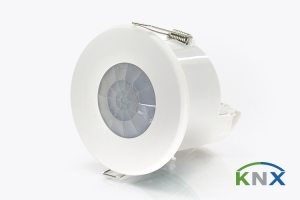 The EBDSPIR-KNX detects movement using a PIR detector and turns the load on. When an area is no longer occupied the load will switch off after an adjustable time-out period. 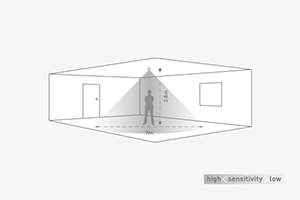 Configuration of devices on the KNX bus is via the standard ETS software application, allowing all aspects of the presence detectors behaviour to be configured and controlled. 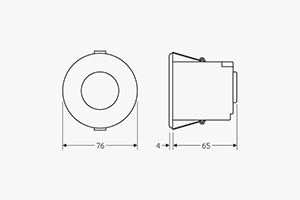 Search by Product (e.g. 'EBDSPIR'), Part (e.g. 'EBDSPIR-PRM'), or by Keyword (e.g. 'cable clamp').